I’m pleased to welcome a brand new supplier of awesome resources for Access All Areas members this week. 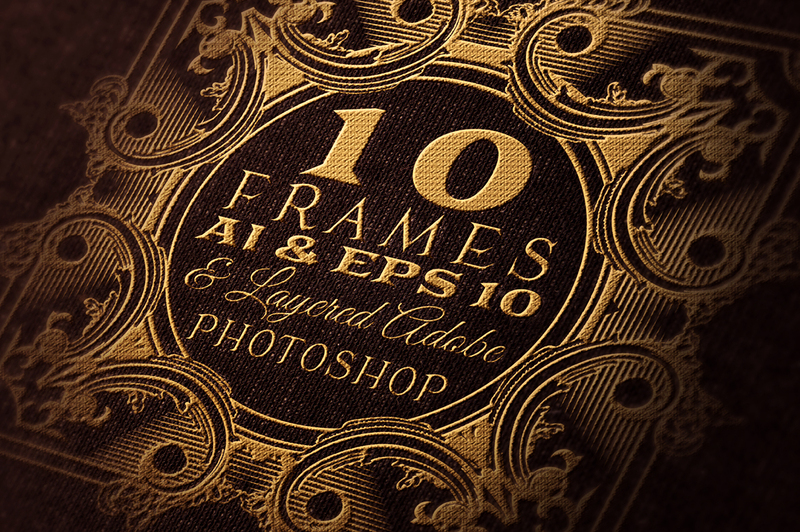 Peter from Cruzine Design has kindly donated a collection of 10 detailed vector frames in a Victorian style, available for both Adobe Photoshop and Illustrator. They’re great for achieving a sophisticated vintage theme by mixing them with images or typographic designs. Peter Olexa’s Cruzine Design store is stacked full of useful resources such as templates, fonts, vectors, backgrounds and more! There’s plenty of items fans of the vintage design will enjoy, with a vast range of products helping you produce stunning effects from classical styles throughout history, including the Victorian years, the Art Deco era and beyond. Access All Areas members can now download this collection of 10 vector frames as part of their membership. Each one is available as layered PSD, Illustrator AI and vector EPS files with predefined masks to allow you to instantly place your artwork into the frame. Use them to highlight your photos or typography with an elegant border, or break the layouts apart to add the individual ornaments to your artwork. These are just beautiful! I love Cruzine’s wares! Thank you to Peter and you, Chris!